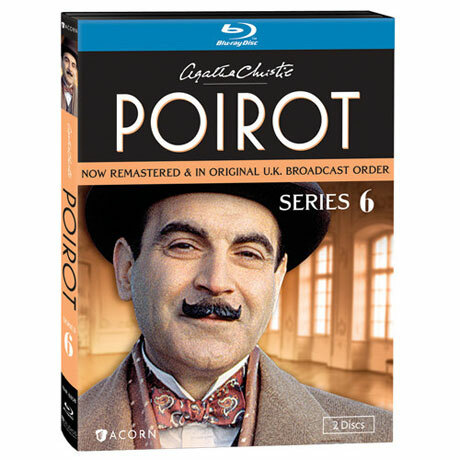 David Suchet stars as Agatha Christie's mustachioed mystery-solver in these four feature-length episodes from the hit series. 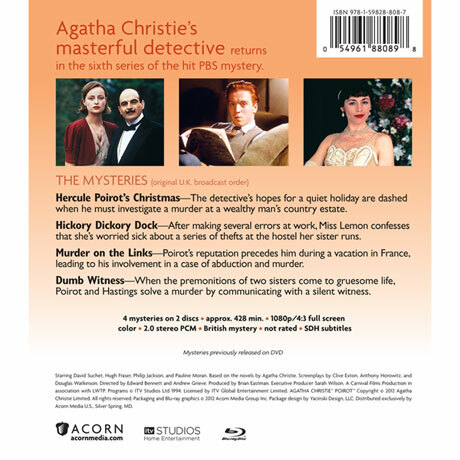 Poirot solves the baffling cases with the help of Captain Hastings (Hugh Fraser, Sharpe), Chief Inspector Japp (Philip Jackson, Little Voice), and Miss Lemon (Pauline Moran). Newly remastered, these editions capture every opulent detail of Art Deco-era Europe. Guest stars include Damian Lewis (Homeland, Band of Brothers) and Kate Buffery (Wish Me Luck). 4 episodes, approx. 415 min. on 2 Blu-ray discs.